For my first event this semester for the International Affairs scholars program, I attended the MLK Jr. Day of Service on Monday, January 21 from 7:45 AM- 1 PM at COSI. This event fulfilled the service requirement. We began the day in the Ohio Union with a presentation reminding us of the purpose of the day and a series of presentations. Following the event kickoff, we took a bus to the service site. I went with a few other International Affairs Scholars and we were sent to COSI. While at COSI, our group specifically cut tubes that resembled arteries and put them in plastic bags to be sent out in educational kits to go with online learning videos that schools and groups can participate in. This allows the students to learn interactively and apply the concepts in real life. We later loaded up the boxes to be shipped out and headed back to campus to discuss. This event solidified my interest in volunteering and assisting others whenever possible. We had the day off from school because of Martin Luther King Jr. so I think it is only appropriate we give back and offer our time to honor his legacy. I think it is great that we are provided with such opportunities It did not change my beliefs but I enjoyed participating in some service work with my friends. This day of service relates to the topic of International Affairs because kindness and giving back is so vital to good relations in the community and ultimately with other countries. The news is always portraying the conflict and issues in the world but we need some acts of kindness to solve world issues. Simple discussion between diplomats can reduce conflict and improve world relations. I learned about the methods COSI uses to provide science education to local schools and the impact of our collective few hours of work. I was also able to meet new people who were willing to spend a day off of school volunteering. It is nice to see that almost 1000 people wanted to wake up early and be sent to a random site to help people in the Columbus area. This event doesn’t necessarily relate to coursework as I am not an education major but relates to a variety of topics discussed in my second year writing class and the Morrill Scholars program. We discuss a lot about visual culture and COSI provides a number of attractions with interactive exhibits. This day of service included leadership and delegating roles. We were split off into sites and then further into specific tasks at COSI. After attending this event, I wonder how else I can become involved with volunteering at COSI. Growing up in Columbus, I have always visited COSI as a child and it is interesting to now see behind the scenes. We received admission passes as a thank you for volunteering which was really nice as we weren’t expecting to receive anything besides the warm feeling that comes with an act of kindness. Posted in Service	Bookmark the permalink. 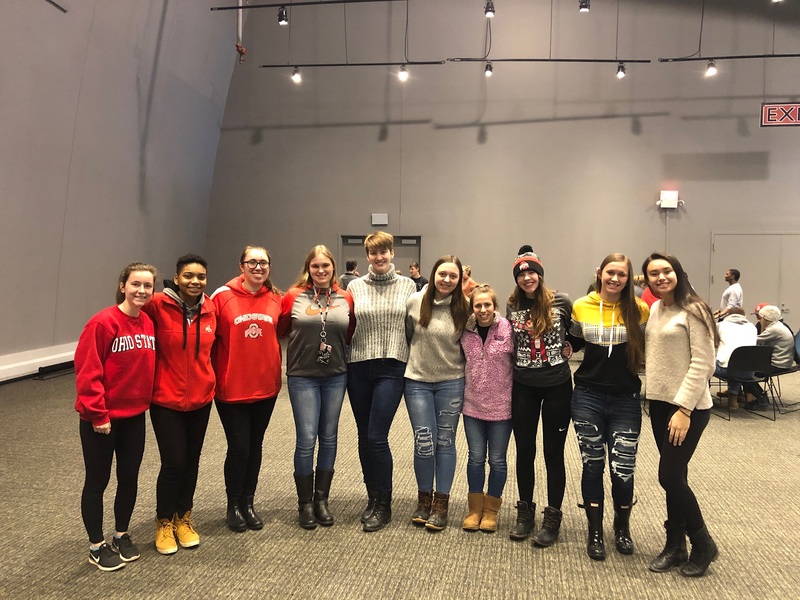 Great post, I’m glad you were able to participate in MLK Day of Service!